Last month, FJC’s Or Avner Gymnasium in Zhytomir, West Ukraine, celebrated its 20th anniversary. 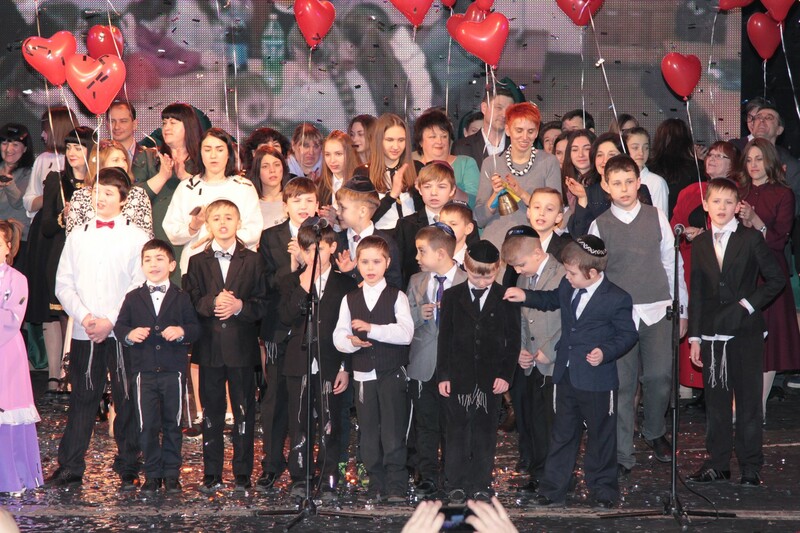 Founded in 1997 by Mr. Lev Leviev and the Or Avner Foundation, today the school is the main center of the city’s Jewish life, attracting students and their families to a variety of educational and extracurricular programs. The school is also a local educational leader, offering one of the highest quality school academic programs in the region. In 2007 it was awarded the status of a “flagman school” by the regional administration. “Over our 20-year history, we’ve had 205 graduates, who are now studying in universities and colleges all over the world, lead Jewish youth programs, and organizations. Some stay to work in the school and bring back their children as students,” said the gymnasium’s director Mrs. Anna Stepanskaya in an interview. She mentioned that besides children from Zhytomir, the school welcomes students from all over Ukraine, who live on-campus in a comfortable dormitory. “Many of them come from difficult family backgrounds and situations and the school and dormitory staff try their best to make them feel at home,” she said. The school’s anniversary celebration was attended by many of the former and current students, honorable guests, city and regional officials and Jewish community members. Zhytomir’s Armenian and Check diasporas, which are good friends of the school also sent their anniversary greetings. Or Avner Zhytomir offers specialized studies in English, Hebrew, robotic and computer sciences, and of course, Jewish heritage and tradition. Its after-school programs include a dance school and a sports center. There are hot, nutritious meals three times a day.